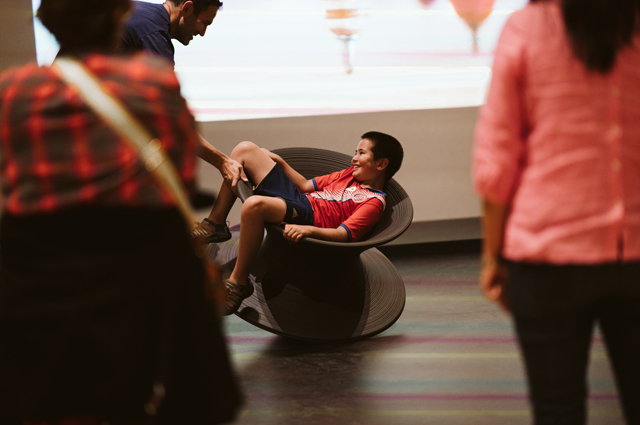 Get cozy with our Winter Season of Friday Nights at OMCA, bringing you after-hours gallery access, DJ sets from the Bay Area’s finest, family-friendly drop-in activities, and more! Celebrate Lunar New Year by making your own Chinese Zodiac animal mask. Explore a selection of favorite books—provided by the Oakland Public Library’s bike-powered book-mobile—then curl up and read together. Join our friends at the Oakland Public Library for family-friendly storytime with stories, songs, and rhymes.